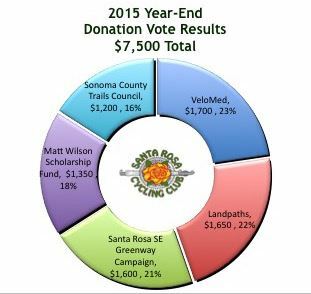 The voting for the recipients for the 2015 year-end donations has ended and the results are shown below. Five of the nine nominees met the minimum threshold of 10% of the votes and the $7,500 in funds was allocated proportionally among the remaining votes. Treasurer Greg Durbin will have the checks available to the recipient organizations at the Club General Meeting on Wednesday, December 9th.